Australia is altering its drug laws to allow for the cultivation of cannabis for medicinal and scientific purposes, the government said on 17 October 2015. Draft amendments to the Narcotics Drugs Act are being finalised to allow for the controlled cultivation of cannabis, giving patients access to "a safe, legal and sustainable supply of locally produced products for the first time," Health Minister Sussan Ley said in a statement. Australian manufacturers, researchers and patients currently have to access international supplies of legal medicinal cannabis, with cost, limited supply and export barriers making this challenging. Allowing for the controlled cultivation of cannabis in Australia will provide the critical "missing piece" where laws already exist to licence the manufacture and supply of medicinal cannabis-based products, but local production of the crop remains forbidden, Ley said. The government plans to create a licensing scheme to ensure that the cultivation of cannabis meets Australia's international obligations and to manage the supply of the drug from farm to pharmacy. On 27 October GW Pharmaceuticals and Otsuka Pharmaceutical reported results from the remaining two Phase 3 trials of their cannabis extract Sativex in the treatment of pain in patients with advanced cancer, who experience inadequate analgesia during optimized chronic opioid therapy. Consistent with the previously reported trial (trial 1), Sativex did not meet the primary endpoint in these trials. However, an analysis of patients across the two Phase 3 trials which involved only clinical sites in the U.S. showed a statistically significant improvement in pain for Sativex compared with placebo and improvements of sleep quality and other secondary efficacy endpoints. Trial 2 recruited a total of 397 patients at clinical sites in the U.S., Mexico and EURope. Patients received Sativex or placebo as adjunctive treatment to optimized opioid therapy and remained on stable doses of their background opioid therapy during the study. A third study (trial 3), which was conducted entirely outside the U.S. and which used a different clinical design, failed to show separation from placebo on the primary endpoint. Canada's Liberal Party won the election on 19 October with 184 seats in parliament. They only needed 170 seats to form a majority in the 338-seat lower chamber. The Liberal platform included, among other things, marijuana legalization. "We will legalize, regulate, and restrict access to marijuana," their manifesto states. Department of Anesthesia, University of Toronto, Canada. The Institute of Psychology, Health and Society of the University of Liverpool is conducting an online survey on cannabis use and eating experiences. Participants must be over 18 and have used cannabis at least once in the last 6 months. An attempt by officials of the United Nations to get countries to decriminalise the possession and use of all drugs has been foiled, the BBC revealed. A paper from the UN Office on Drugs and Crime (UNODC) has been withdrawn after pressure from at least one country. The document, which was leaked, recommends that UN members consider "decriminalising drug and possession for personal consumption". It argued "arrest and incarceration are disproportionate measures." School of Medicine, University of Nottingham, Royal Derby Hospital, UK. 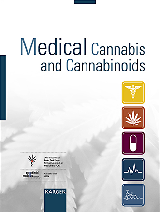 Researchers investigate the efficacy of a new formulation of cannabidiol (CBD) as a topical treatment in an experimental model of autoimmune encephalomyelitis, a model for multiple sclerosis. Results showed that daily treatment with topical 1 % CBD-cream may exert neuroprotective effects, diminishing clinical disease score, by recovering of paralysis of hind limbs. CBD had significant effects on parameters of inflammation. Giacoppo S, et al. Daru 2015;23(1):48. Department of Biochemistry, Faculty of Pharmacy, Zagazig University, Egypt. Department of Pharmacology and Center for Biomedical Neuroscience, University of Texas Health Science Center San Antonio, USA. Canada Faculty of Medicine, Laval University, Québec, Canada. In a 5-week placebo-controlled study with 12 opioid-dependent patients, who remained on opioids, 40 mg of THC caused increased heart rate and anxiety, which made dose-reduction necessary. These effects were observed already following 20 mg of THC in one patient. 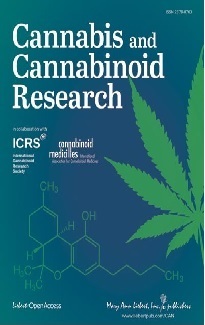 This study underlines the necessity of individual dose finding for THC. University of Kentucky College of Medicine, Center on Drug and Alcohol Research, Lexington, USA.